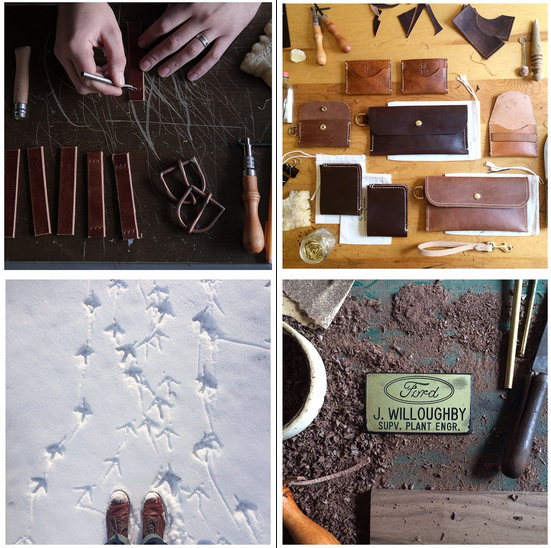 We're so happy to announce that we now carry Fontelle Supply Co.'s handcrafted leather Notebook Covers and Key Fobs. Made right here in Des Moines, each one is a small work of art - hand-cut, hand-tooled and finished. Notebook covers slide easily into pants or tote bag pockets - perfect for keeping your Field Notes at the ready. The classic key fobs feature either a screw open Chicago closure or the versatile Sam Browne stud - constructed to withstand years of daily use. We could go on and on about Fontenelle Supply Co., but think visiting their website's the best way to get to know them, how they started, how they work, and why they do things the way they do. Fontenelle also makes an array of other stellar leather goods - leashes, collars, belts, axe covers, wallets and more. See it all HERE. And, hey, follow their Instagram while you're at it.